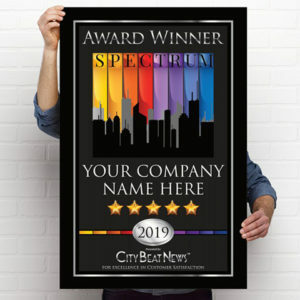 High quality, full-color 8.5″ x 11″ Spectrum Award Winner Certificate with your company’s name, location, award category and star rating for your framing or mounting. 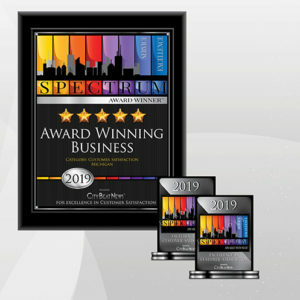 The digital copies of your award for your website, social media pages, campaigns, email signatures and other marketing materials. 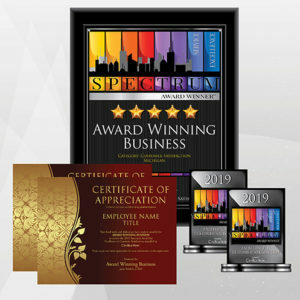 Use them in combination to remind current and future customers of the honor you have worked so hard to achieve and further the momentum and growth you’ve attained. 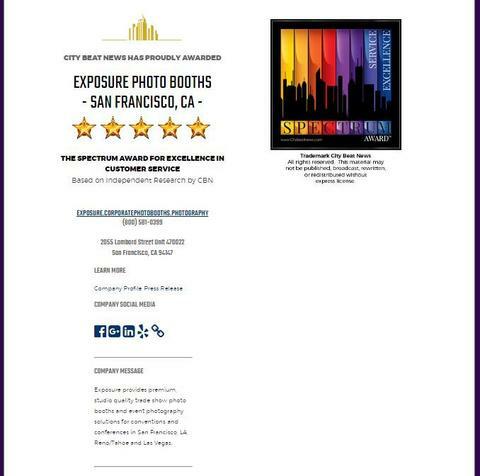 The Trademarked Award Emblem will be delivered to you digitally. Custom digital images are delivered via email once the graphics department has them completed. Normally between 3-5 business days from the time of order at which time your Award Page Upgrade will be active, ready for you to add additional information and back-links. Your certificate is shipped immediately upon production and will arrive at the delivery address provided via USPS. 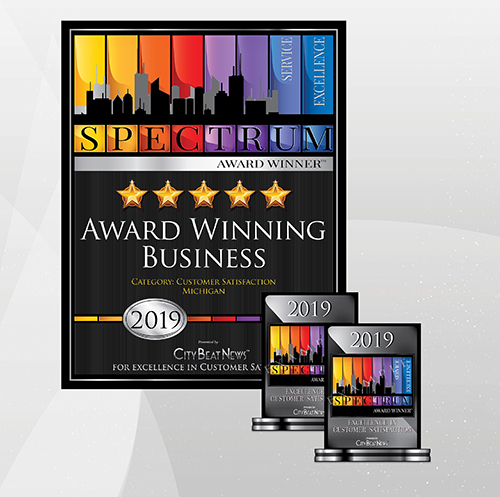 ® 2019 Success Max, LLC.